It was a warm Spring Day, but local area musicians were huddled indoors warming up, and performing in the Laredo Concerto Competition, all vying for the opportunity to perform with the Laredo Phil in concert. The winner was 19 yr old pianist, Enrique Rangel, performing the Chopin Piano Concerto No. 1 in E minor. Enrique will now play this concerto as a soloist with the Laredo Phil on Sunday. May 3, 2015 at the Martinez Fine Arts Center at Laredo Community College. Enrique Rangel began his piano studies aged nine and quickly showed an enormous talent for the instrument. In the intervening years he has studied with such prestigious pedagogues as John Weems at the University of Houston, A.J. Collins-Thompsons of the Musical Arts Center of San Antonio. He currently studies with Dr. Fritz Gechter at Texas A&M International University. “Enrique is an enormously talented musician, with great technical ability and musical sensibility,” say both his teach, Dr. Gechter, and Music Director Brendan Townsend. Though still in his teens, Rangel has already appeared in New York’s Carnegie Hall, and many of the leading concert halls around the Texas including Balyor University recital Hall, Moores School of Music Recital Hall and the UTSA Recital Hall. He has been a successful competitor at such competitions as the American Protégé International Piano Competition, the 2014 McKinney Young Artists Competition among others. He has received awards at various masterclasses he has attended and has worked with such distinguished International artists as Ilya Itin and Anthony Tobin. 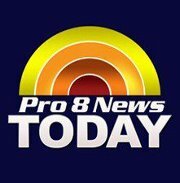 Rangel will perform Chopin’s Piano Concerto No. 1 in E minor with the Laredo Phil in a program that also includes Lee Actor’s Divertimento for small orchestra, and Beethoven’s Symphony No. 7 in A Major. Tickets for the concert, which is made possible by the Guadalupe & Lilia Martinez Charitable Trust, are available at the door and cost $20 for adults and $15 for seniors. As always, students with an ID card are admitted free of charge. 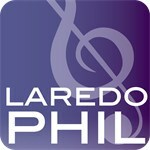 The concert is the last in the current season of The Laredo Phil’ 35th anniversary season. The concert takes place at the Guadalupe & Lilia Martinez Fine Arts Center at Laredo Community College on Sunday May 3rd beginning at 3:00 p.m.
For more information contact Brendan Townsend at (956) 326-3039 or btownsend@tamiu.edu.